Phantom’s Keep is the latest update for TERA on PC and includes content for both the dungeon-crawler fans and open-world fans alike. Phantom’s Keep has two popular dungeons returning, along with fresh mechanical and loot updates to go alongside it. This update also comes with the open world “Guardian Legion”, entitled “The Dragon Hunt”. Previously released dungeons, Dreadspire and Manglemire are both back with a fresh coat of paint on them. Players will once again battle their way up 10 floors of Dreadspire, with a chance to acquire Phantom-themed armor if they clear them all. The deviously mad cyclops Manglemore is back with a fresh bag of tricks ready to keep players guessing in the reintroduced Manglemire dungeon, which will be coming back for limited periods as an event dungeon with the first full weekend taking place July 20- 22. Outwit and overpower Manglemore to earn crafting materials to upgrade gear and take on greater challenges. The monthly leveling events continue from June, with the lancer being the winner in July. Anyone who creates a new/levels up an older lancer that never hit the level cap will be rewarded with boxes in in-game goodies at various milestones. These can only be earned once per server during the respective leveling event. The event will end Wednesday, August 1 at 4:00 AM PT / 7:00 AM ET, when the August event will kick off for another class. 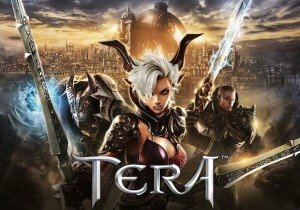 Elite Status players will also be able to take advantage of the Elite Discount Sale this coming weekend giving players discounts on nearly every item in the TERA PC store. This sale begins today and will run until Monday, July 16 at 11:00 AM. The waiting has finally come to an end as the Steam release of GunZ 2: The Second Duel has been confirmed by MAIET.